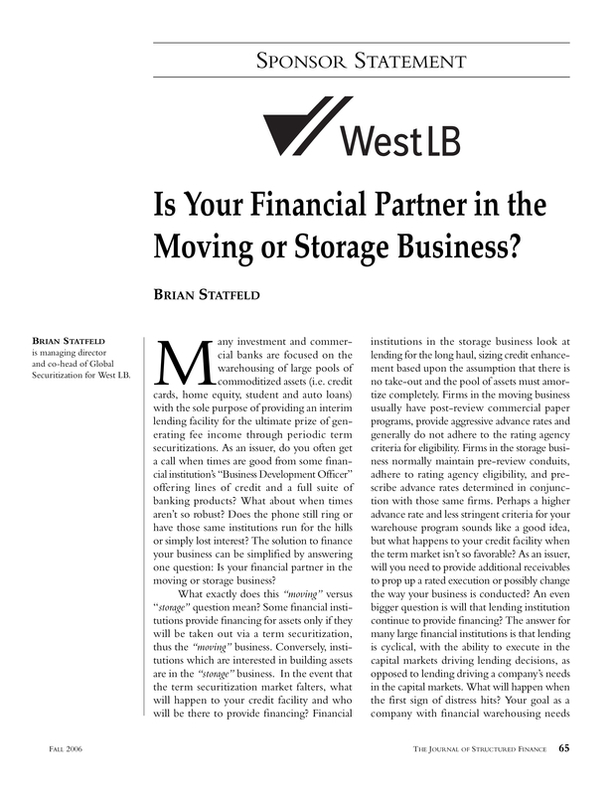 Is Your Financial Partner in the Moving or Storage Business? Managing director and co-head of Global Securitization for West LB. You are going to email the following Is Your Financial Partner in the Moving or Storage Business?